Alp Tracks is a limited ski series from Movement that requires a manual finishing process that squeezes fiber layers together to reduce weight. Never before has a 100mm wide ski been made this light and robust. The skis are lined with a mini-ABS sidewall that absorbs shock underfoot. Coupled with a special rubber/fiberglass mix in the tip, the Alp Tracks 100 is surprisingly damp for the weight. The skis are outlined with variable thickness edges, stronger where impacts are likely and lighter elsewhere. They are finished with high-end P-Tex 5000 bases. The Alp Tracks skis are Swiss works of art, and the 100mm version could be the masterpiece. Variable thickness Tour Edges balance weight and robustness. Underfoot roughness is smoothed with an ABS Shock Absorber. Rockered tip and shaped tail make skiing easy and fun again. VA-Tech is a Vibration Absorbing rubber & fiberglass layer in the tip. Binding area is strengthened with a Double Plate Reinforcement. Bases are made with P-Tex 5000 which is backcountry-hardened. Forestry management standards are followed with the Karuba cores. Update 2018/19 - New topsheet graphic, mostly same construction (slight beefing up of the mounting area). well they skied powder as well as breakable wind slab. I'd like to buy a pair but my only concern in the length. I'm 5'5" and 125 lbs. Do you think 170 is too long? Alisa, If you skied the LT 100 it must have been a 170cm, that is the shortest length they make. I would not say they are too long for your stature. If you skied breakable slab in BC well, I would say you are an expert skier and have no problem with a 170. Buy It ! Is it just me, or did this ski get 100 grams heavier this year? 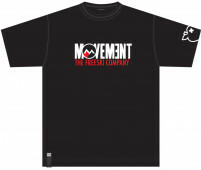 Looking at your weights, the weights on another site, and then looking at the current weights on Movement's site? Hi Brian, it's possible they have gotten a bit heavier, despite being under spec in the past. A titanal mounting sheet has found its way into the sandwich as an inline change, for example. We will be re-weighing when they arrive. 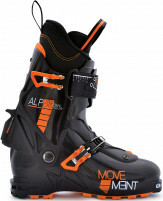 How do these ski compared to the La Sportiva Nano? Hi steve, very differently! IMO, the Nanos are a powder specialty tool and tend to complain when you take them elsewhere. The Alp Tracks can rail on hard snow as well, and even transition between the two conditions very well. They feel very balanced and are pretty forgiving if you get caught in the back seat. The Nanos are a little more sensitive to mounting position, ramp angle, and stance in finding the sweet spot. Update: Delayed bc activity due to Mt. Rainier NP shutdown & resulting snow overload removal. But in the last 2 weeks I skied the deepest driest powder I have ever skied (16 inches fell in the mid teens) and the most sun & wind affected powder this season (20 inches subjected to cloud moderated solar radiation yesterday (500 w/m2) and strong sunshine (800 w/m2) today. Skied both conditions far better than ever befoe despite relatively few days this year. This ski is awesome. Lift me out the dry powder and easily powering thru the upper 3 inches of sintering snow topped by a zip crust overlaying the bottom foot and a half of dry powder. Awesome ski. Which is the better ski for cruddy conditions (heavy wet, breakable crust, trap crust, zip crust, etc), the 94 or the 100? It seems obvious that the 94 is best for hard snow, corn, and shallow powder and the 100 for deep powder. Hi Andrew, while it's not awesome to ski breakable crust on any ski, I think I'd give the nod in this particular standoff to the 100s. They have a bit of a DPS Wailer shape to the tip that seems to let you plane out of the crust a bit better than other skis. I've had difficulty finding out much about the AlpTracks line. I haven't found many useful reviews... I'm interested in the 100 (or the 94 or 106). Do you have any on-snow information about them? It would be nice to know something about the profile (camber/amount of early rise tip/tail), and the stiffness and skiability. In terms of weight/width, they compare well with things like the Wailer99Tour1, or the G3 Synapse+ 101 (or the fully rockered 109) or perhaps the Blizzard ZeroG 95/108s or others. But all of those skis have quite different styles. Where do these fit in? Do they need to be driven aggressively or are they more easy-skiing like the Wailers? 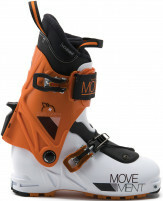 Can they hold a carve on firmer snow quite well (more like the ZeroG95s)? etc. etc. I expect there are quite big differences between the 94/100/106... is that true? Are there any useful comparisons with other skis? Hi Phil, the Alp Tracks are all over the Wasatch and we have demos as well. They all have the same ultralight, fairly stiff construction but there a 3 different shapes. The 100 and 106 have big rockers for max fun in soft snow; they have camber and do fine on hard snow but we think of them as powder tools. The 84 and 94 have tapered tips and tails with straighter edges that are optimized for mountaineering. The 89 is a great carver and all-around tool. All the Alp Tracks are much lighter than the DPS or G3 skis, and more friendly than the ZeroGs. Not quite like the Wailers which require zero technique, but they are on the easier side of the spectrum (except maybe the 89). None need to be driven, but respond if you do. Movement skis in general excel at carving so you'll have lots of fun under 100 there. Is it possible to deliver to austria? Hi Ludescher, it's no problem to ship to Austria. There will be a few options at checkout for speed. Duty is not included, however. Please send us an message and we can work with you on the details. These skis are an awesome option for a lightweight but very capable powder ski. I went longer (almost equal to my height - I'm 179 and I got the 177) rather than wider, and have found them to be a really fun and stable ski. The mounting point feels quite forward compared to other Alp Tracks skis, but that just means that they like to be ridden through the middle of the ski rather than the tips or tails. They don't punish poor form severely, but the better you ski them the more rewarding they are. They can certainly handle ice (even if it's not their preferred medium), and they are fantastic in deeper snow and even crud. In terms of speed limits, I have yet to find one (at least for me). I'll add to this review when they get a northern hemisphere winter under their belt...At this stage, I'd thoroughly recommend these skis as an excellent lightweight soft snow option that weighs less than most regular touring skis.